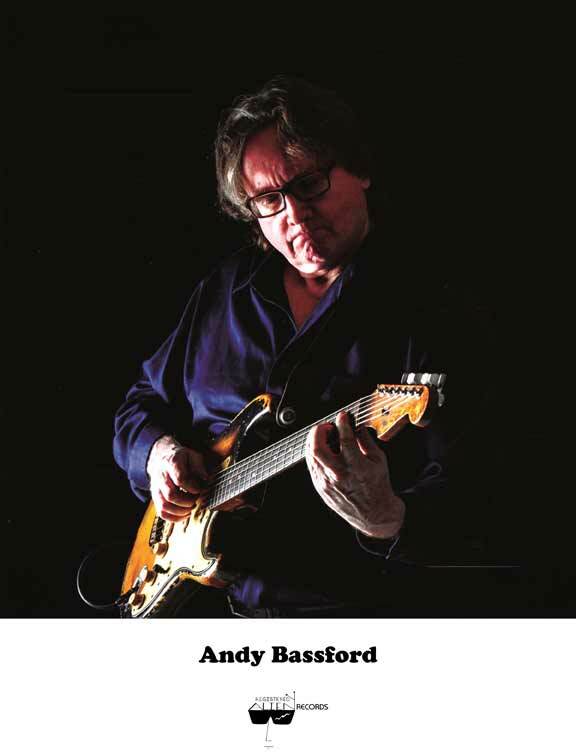 If you love reggae, you’ve heard Andy Bassford play guitar. It’s that simple. From Horace Andy’s 1977 classic “In The Light,” to 2018’s Sting/Shaggy duet “44/876,” Andy has recorded or performed with reggae artists from the Abyssinians to Zap Pow. In April of this year, Andy released his first solo album, “The Harder They Strum,” a loving remake of the classic soundtrack that jump-started his reggae career. Born in Hartford, Connecticut, Andy was classically trained on violin and viola. He then taught himself harmonica, electric bass, mandolin, and tenor banjo. Inspired by seeing B.B. King on TV, Andy switched to guitar. A quick study, Andy was playing in rock bars before he could drink in them. But when Andy saw the Jimmy Cliff film "The Harder They Come" at college in 1973, he immediately fell in love with reggae. Andy soon discovered that Hartford's large Jamaican community had its own record shops and reggae bands. He joined one, the Mighty Venturians, the week he graduated from college. Studio One veteran Horace Andy, then living in Hartford, hired Andy to play on the NYC sessions that became "In The Light." It sold well. But when no tour materialized. Andy returned to rock, also playing in Latin jazz, folk, country, and new wave bands. In 1980, Horace and Andy reconnected. Horace invited him to Jamaica to record again. The project never happened. But Andy fell in with a crew of hot newcomers, producer Junjo Lawes and the Roots Radics band. Together they recorded Michael Prophet's "Gunman" and the Wailing Souls' "Fire House Rock." Andy decided to stay in Jamaica to pursue studio work. In January 1981, Andy joined Lloyd Parks and We The People Band. The group toured with Dennis Brown, did sessions, and played marathon stage shows and dances. It was an unparalleled learning experience. During this period Andy also kept up a busy session schedule, recording with Sly and Robbie, the Wailers, and most of the other major reggae producers and artists in Jamaica. Returning to the US in 1985 for family reasons, Andy stayed with Dennis Brown until 1988. Between tours, Andy recorded for Coxsone Dodd's Studio One until the latter's passing in 2004. He spent twenty-two years with Toots and the Maytals, culminating in 2004's Grammy-winning "True Love" album. Andy has also toured with Yellowman, Super Cat, and the Skatalites. In 2003, the Jamaica Federation of Musicians honored Andy for Outstanding Contributions to the Jamaican Music Industry. Outside of reggae, Andy has recorded with Rihanna, Natalie Merchant, Bobby Keys, Graham Haynes, Felix da Housecat, Matt Andersen, and Adam Pascal. He has performed with Aretha Franklin, Percy Sledge, Lavern Baker, and Rosco Gordon. Based in the Bronx, Andy performs with Jamaican jazz master Monty Alexander's Harlem-Kingston Express and reggae bass legend Derrick Barnett's Statement Band, plays sessions, and teaches.